Dan Gurney was a true renaissance man of motorsports; an innovator for whom the path of least resistance was anathema, as well as a racer revered by his peers. Of those peers, Jim Clark was perhaps the greatest. At Clark’s funeral in his beloved Scottish Borders, his father told Gurney that he was the only driver the two-time Formula 1 World Champion truly feared on the track. The respect was mutual. 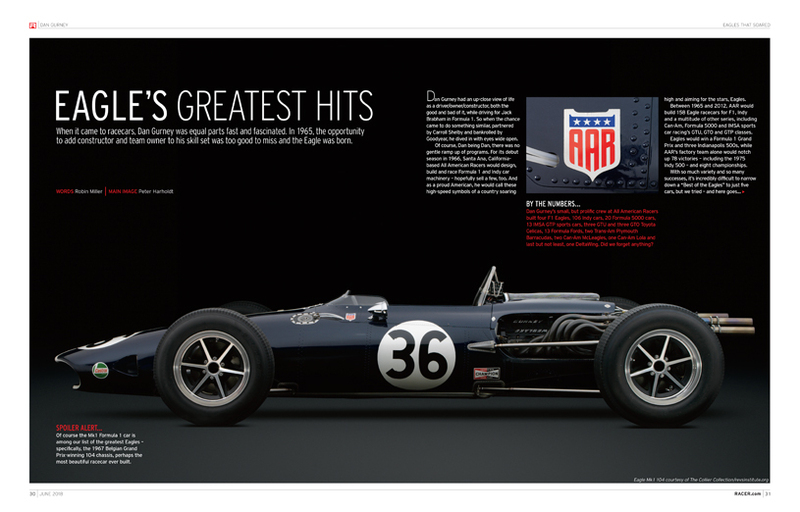 As we mark the 26th anniversary of RACER with our annual Heroes Issue, we’re celebrating just a few of the numerous achievements of Gurney, who passed away in January, and we recall the day 50 years ago – April 7, 1968 – when racing lost its benchmark and talisman, Clark. For their accomplishments and their legacies, that both men meet and exceed the definition of “hero” is indisputable. 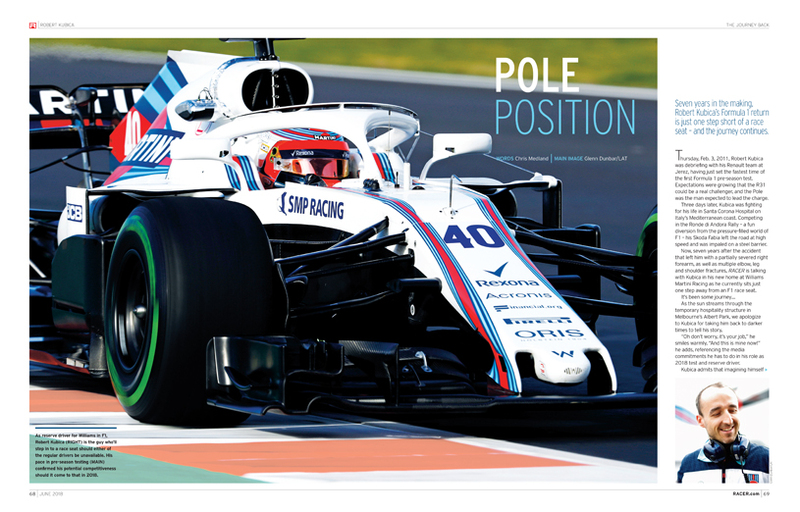 Yet RACER’s notion of a hero – and we’re sure yours, too – goes beyond races and championships won, which is why we’re highlighting Robert Kubica and his remarkable journey back from what seemed to be career-ending injuries sustained in a 2011 rally crash, to the brink of an F1 race seat with Williams this season. Kubica doesn’t see himself as a hero, but that seems to be a defining trait of so many heroes. They just do what they do; others bestow them with hero status. Speaking of legacies, two-wheeled ace Kenny Roberts’ on-track accomplishments make him a hero in our book. But the fact that this straight-shooting Californian’s time in 500cc grand prix racing opened the gates for a generation of American talent to make its mark on the world stage doubles down on his heroic status. 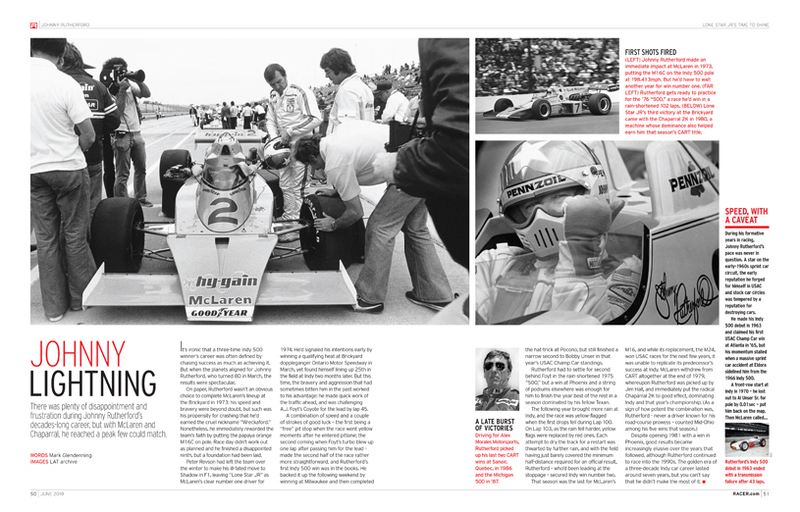 Read the story of his game-changing 1978 season in the June issue of RACER. 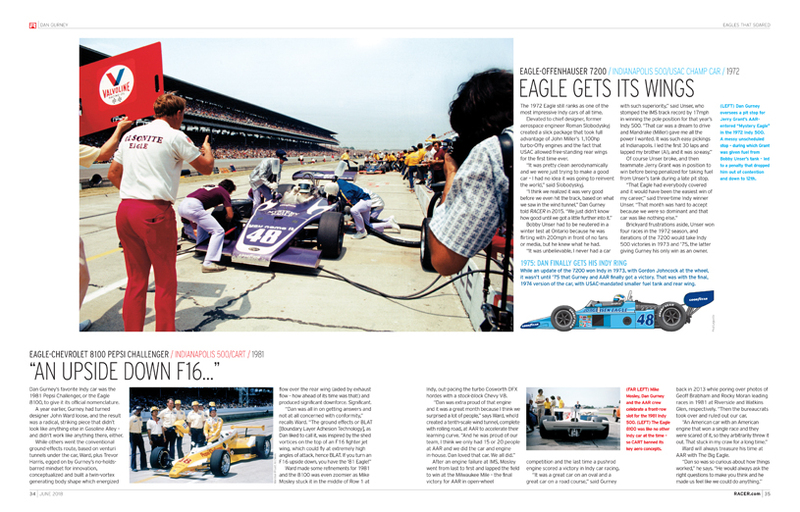 And with that, it’s time to return our focus to what comes next – not just a print magazine proudly beginning its 27th year, but on the rapidly-growing RACER.com, and our expanding social media presence. It’s an exciting time, and we appreciate you being with us on the journey.